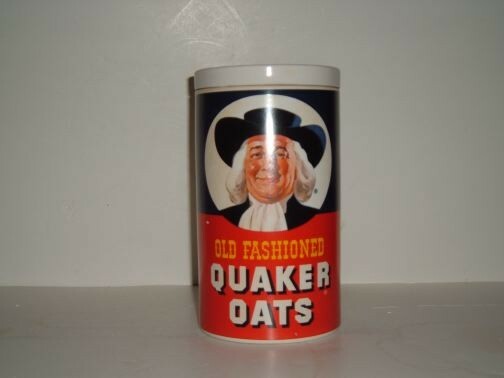 Quaker Oats Cookie Jar by Regal China. Quaker Oats Cookie Jar by Regal China. Unknown manufacturer date. The jar is in excellent condition and is from a private collection. A Regal China version of the Advertising Jar that several other pottery companies manufactured. This jar has yet again a different lid design.